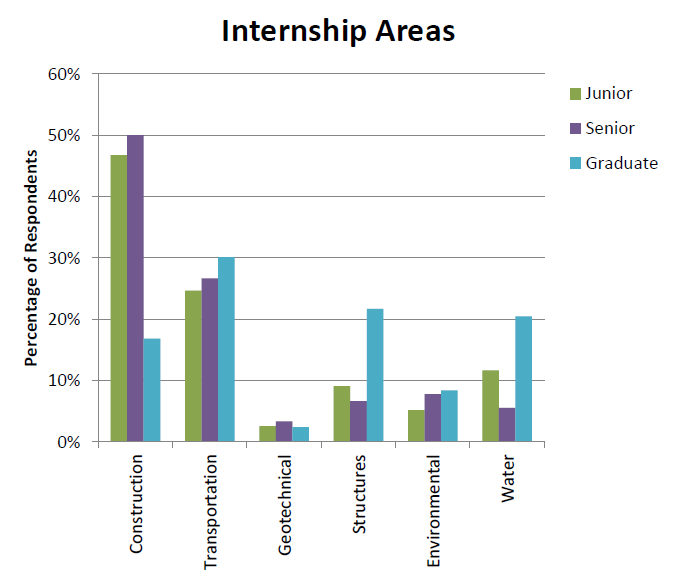 Outside of the classroom, internships give students hands-on experience in the field, helping them to hone their skills and explore various topic areas, from construction to transportation to water. Many internships result in job offers. Real-world experience prepares graduates to work for companies such as Kiewit, Puget Sound Energy, Boeing, U.S. Army Corps of Engineers, Skanska, CH2M, Bechtel, Port of Seattle, KPFF and many more. *data based on 2018 student survey.